This Australian weekend has been getting pollsters and pundits salivating. Every political observer loves a good slaughter, and for some time now, Australia’s Prime Minister, Tony Abbott, has been willing to offer himself up for the billing. The Fairfax/Ipsos poll, with an angle distinctly not slanted towards Rupert Murdoch, has proven to be punchy in its dimension – at least if you are a Coalition strategist. Current figures suggest that, should an election be held now (and yes, the operative word here is now), a 9.5 percent swing would eventuate, leading to a loss of 44 seats. The coalition hovers at a stale 44 percent of support, while Labor looks pretty with a collaring 56 percent. It has been a spectacularly bruising time for Coalition politics. The prime minister gravely miscalculated over the expenses scandal surrounding the now ex-speaker of the House, Bronwyn Bishop. “Choppergate”, as it came to be called, assumed plague like proportions, even finding voices of condemnation within the shock jock fraternity. The conservative clan were in revolt. The prime minister had gone too far. Andrew Bolt, normally serenely arm-in-arm with Abbott in his columns, suggested that the behaviour of Bishop was “getting dangerous”. “Bishop wrongly claimed $5000 for a helicopter jaunt on purely party business but [Malcolm] Turnbull claimed just a train fare to the same city on parliamentary business.” The party faithful were getting edgy; talks were held. Eventually, the speaker did step down. Abbott’s own impoverished standing only looks worse when compared to Labour’s Bill Shorten. Abbott’s disapproval rating comes in at a hefty 59 percent. Shorten finds himself in less foreboding territory at 49 percent. These are the advertisers, the materialists, the shallow popularisers desperate to stay on message not due to any coherent principle, but because they will do anything to get elected. But political stocks are desperately low, and it takes a certain deficiency in quality to propel Bill Shorten into politically viable territory. Perusing such polls does come with its risks. Few in the recent British election predicted the Tory conquest, an outcome which managed to step over detritus and doom to see David Cameron re-elected. The 2012 US Presidential elections similarly saw a “tight” race between the candidates, till election night witnessed Barack Obama speeding pass the finishing line against a supremely incompetent opponent. Black magic tends to be a far better prospect for rewards than scientifically constructed poll numbers. Besides, the Australian political system has a well worked curiosity called preferences. Governments can get across the line with the support of other parties who preference them in the final count. Primary votes in Australia matter less than secondary calculations, a desperate attempt to save a first placed vote from its initial doom. 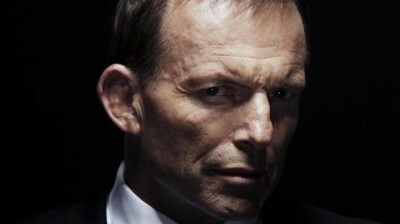 The only problem for Abbott’s crew is where those preferences are going to coming from. The Australian Greens, in the poll, command a steady 16 percent. This can be viewed in a variety of ways. Given the nature of the Australian political system, these could be regarded as Labor votes in cold storage, unleased at the appropriate moment. Come election time, disgruntled Labor supporters might pitch for the Greens. Green voters will, in turn, fork out for Shorten. This makes the situation for Abbott even more precarious, though it does, disgracefully, offer an undeserved option for Labor. Yet again, major parties can cream the proceeds off their respective misbehaviour. All in all, the difference now lies in how polls drive policy, an overly busy, sentimental engine that has no actual empirical value. Reversing the order of politics – that a policy should drive the measuring polls – hatchet men and women will be looking at the figures within parties and advise – no, tell – individuals to hop it if the going is getting worse. This is Westminster democracy at its self-defeating worst, the dominance of party hacks at the expense of leadership prowess. In Abbott’s case, nerve will be everything. This he probably has, given his almost daft obliviousness to party squabbles and sounds governance. He seems to be Australia’s last true ideologue. Repeatedly, he has pursued a closed circle of advice, an even smaller circle of conviction. It will be something his colleagues may well lack. There is already a palpable sense that options are being fielded, possible successors to a planned bloodbath: the urbane and more credible Malcolm Turnbull, who as such is considered with scepticism by many in the Liberal Party; the terrier-like ideologue Scott Morrison, cruel mastermind and implementer of the “turning back boats” policy; or the more judicious Julie Bishop, quietly doing the count. The captain, as of this point, risks being slain by his very own.